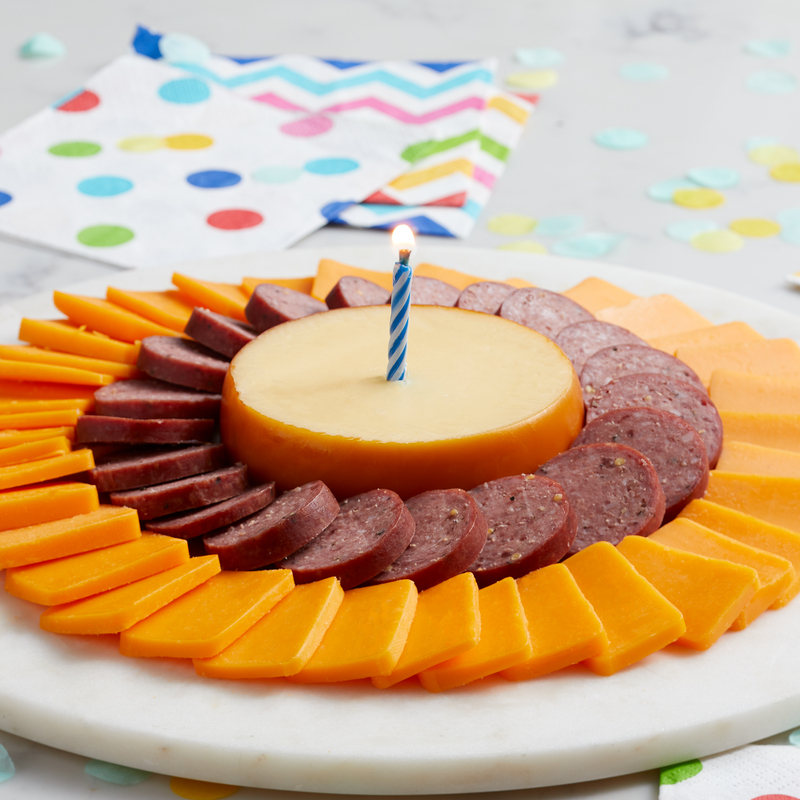 Surprise them on their special day with a sweet and savory collection of birthday treats! 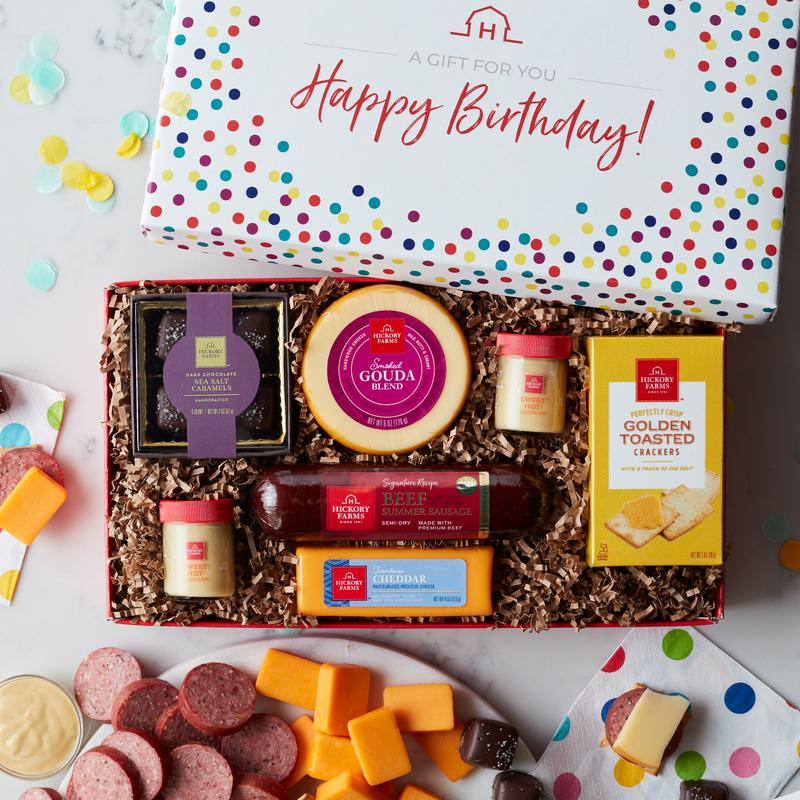 Famous flavors like Signature Beef Summer Sausage, Smoked Gouda Blend, Farmhouse Cheddar, and Sweet Hot Mustard pair beautifully for a tasty, hearty bite with Golden Toasted Crackers. 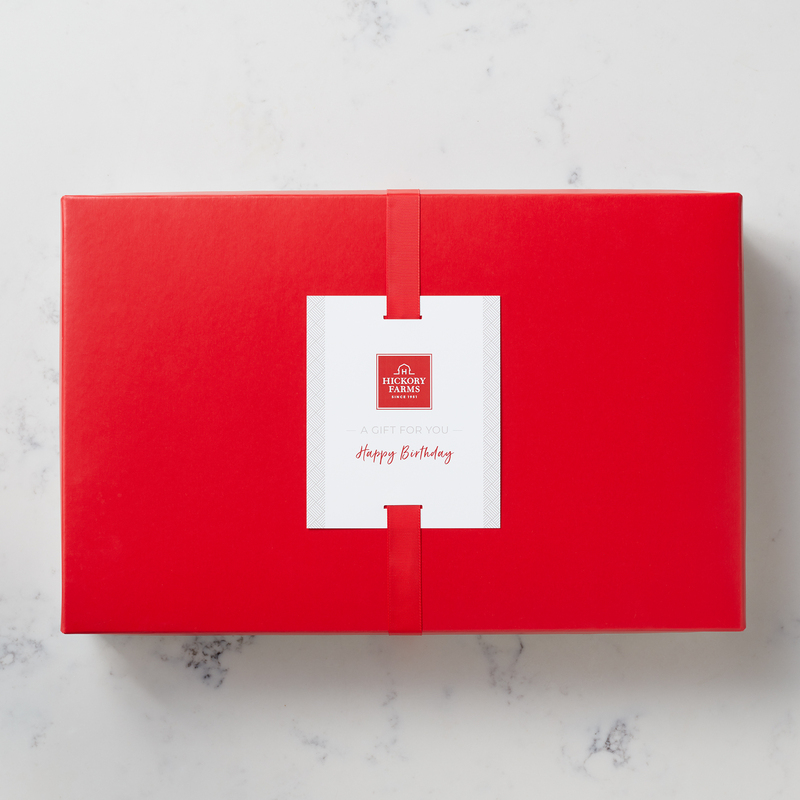 Then, to end on a sweet note, this gift is finished with our indulgent Dark Chocolate Sea Salt Caramels.